What's more, this Reinforcement Pack includes a pre-built scenario: Into the Fire. In this scenario, both armies start on one side of the battlefield and they must race to be the first to overpower the Great Dragon and claim its hoard. 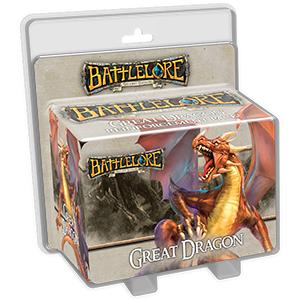 Whether you use the Great Dragon in this scenario or muster him with your army, it brings an undeniable threat to every game of BattleLore Second Edition.